Lower Valley Farm: CSA Starts Soon! Hello and happy May Day! We hope you all are doing well and that you are looking forward to the sun in the seven day forecast as much as we are. We are doubling our CSA this year and still have about 20 spaces available. If you know anyone who may be interested in joining we still have two weeks left for them to get in to our CSA program. Can you believe this season we have already gone through as much potting soil by May 1st as we did all year last year?! 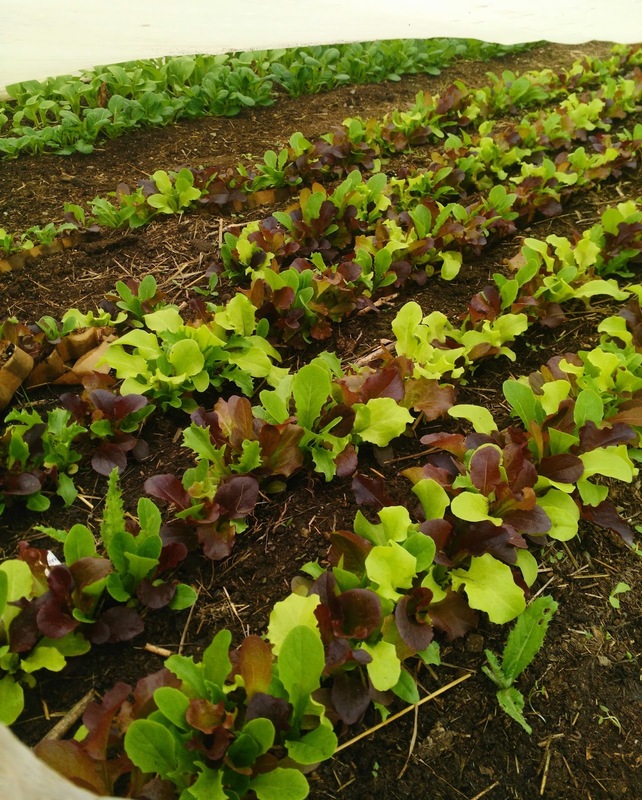 We have set out hundreds of flats of transplants and are running the seeder over the beds weekly to keep a season's worth of fresh produce coming from our farm to your home for the year. It has been an exceptionally cold and wet spring and as such our first field crops are further behind than we would like; we are trying really hard not to compare the pictures of our farm this year to the farm in previous years. Despite the cool wet spring, everything on the farm is running more smoothly than it ever has before and we are excited to share more information with you about changes in our production system in our weekly CSA newsletters. Until then, you can follow the farm on instagram and facebook for farm photos. We use facebook for a weekly 'farm update' and instagram for little snippets of farm production. We have kept all our planting dates the same this year and miraculously we haven't had any crop loss due to either rain, wind, or cold (24 degrees on Easter weekend?!). Everything is growing - it is just growing really, really, really slowly! We will be sending out an email with an attachment with more information about vacation holds, switching sites, and CSA pickup next week. Be on the lookout in your inbox for “Lower Valley Farm 2017 CSA Customer Information” We will also have it as an attachment for you to easily print off as a reference. We want to do everything we can to make CSA pickup something you look forward to each week. It is an honor and a blessing to us to grow food for you and we look forward to working with you this season!